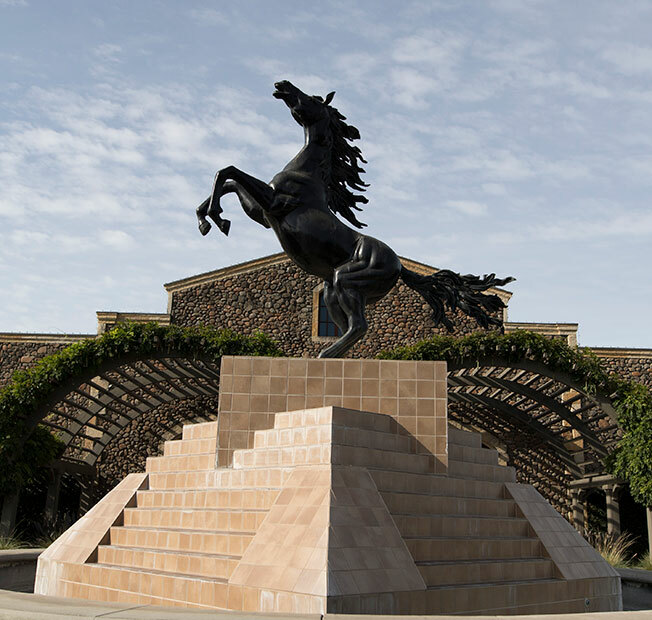 The name Black Stallion Estate Winery celebrates the property’s rich equestrian history. The estate was once home to the Silverado Horseman’s Center with ambling riding trails, stables and the area’s only indoor arena. Black Stallion Estate Winery showcases the best of Napa Valley’s diverse winegrowing appellations. We carefully select grapes from a multitude of vineyards, individual vineyard blocks and often rows within a block. By combining the strengths of each lot, vineyard and appellation, our Winemaker crafts world-class wines, brimming with bold, rich flavors and gracious mouthfilling textures. Each wine reflects Napa Valley sophistication, finesse and harmony.